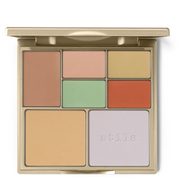 Achieve a photo-ready complexion with the Filter Finish Baked Radiant Setting Powder from Laura Geller. Harnessing the powers of color-correcting pigments, the sheer, silky powder combines three shades to even out skin tone, blur imperfections and deliver a healthy, radiant glow. Blending seamlessly together, the powder perfectly reflects light and balances your complexion, whilst holding make-up in place for a smooth, refined finish. 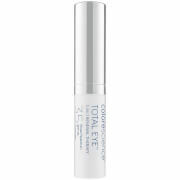 'Neutralizer': diminishes redness for a brighter, more luminous look. 'Champagne': creates a flattering, candlelit radiance. 'Ethereal': gives skin a natural glow while correcting blue or sallow tones. Swirl on liberally over your make-up using a brush.